Although its name translates as “Hidden Port,” Mexico’s Puerto Escondido is no secret and has long been a favourite among surfers and backpackers. That being said, this chilled out beach town in Oaxaca State still manages to fly under the radar of most travellers. Perhaps that’s due to the lack of international direct flights and cookie-cutter resorts that bring so many tourists to places like Cancun and Puerto Vallarta. If you’re willing to put in the legwork to get here, you’ll be rewarded greatly with stunning beaches, friendly locals, and mouth-watering cuisine. 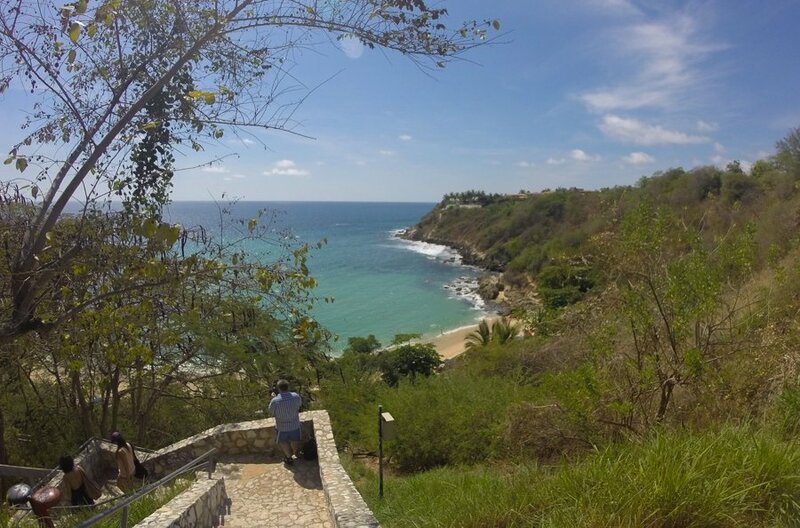 Puerto Escondido is definitely one of the best places to visit in Mexico. Plan your trip to this awesome Mexican beach town with the assistance of this comprehensive guide. We’ll go into detail about the top things to do, where to stay, and some of the best places to eat and drink. Vamos, amigos! As the legend goes, pirates once kidnapped a young woman here. While they were docked in the bay, the woman managed to escape. They referred to her as “La Escondida” (The Hidden One) and looked for her every time they returned, to no avail. The name stuck, and it eventually became known as Bahía de la Escondida (Bay of the Hidden One). The port was established around 1900 to ship coffee. There was no settlement here at that time due to a lack of potable water, which came in the 1930s, and with it the foundation of a new town. 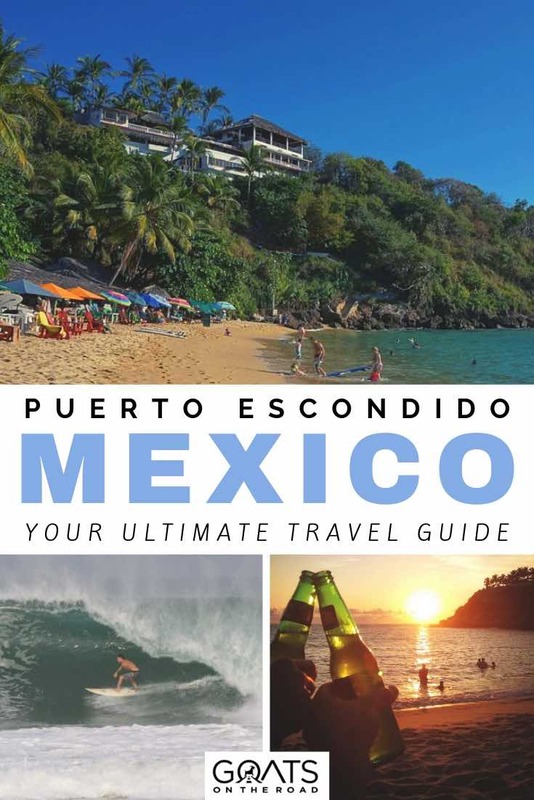 In the ensuing decades, an airport and the coastal Highway 200 helped connect Puerto Escondido to the rest of Mexico. Eventually, tourists began to discover the beautiful beaches of Puerto Escondido. Simple hotels sprang up, as did restaurants housed in palapas where local fishermen prepared the day’s catch. The development of tourism here increased greatly when surfers discovered the epic waves of Zicatela Beach (Playa Zicatela). These days, Puerto Escondido attracts a mix of surfers, backpackers, Mexican families, and even some digital nomads as the infrastructure develops. One interesting thing about Puerto Escondido is that it’s actually split between two municipalities – Santa María Colotepec and San Pedro Mixtepec. The border remains a contentious issue, causing some business owners here to actually pay taxes to both of them. Tensions flare up on a regular basis, including one incident last year where a mayor was actually taken prisoner. Let’s hope they resolve it soon! Whether you’re a beginner or a pro, Puerto Escondido is a great place to ride the waves. After all, it was surfers who originally put this town on the tourist map. Surfers from all over the world come here to ride the legendary waves off the Mexican coast. Where you decide to go surfing all depends on your skill level. Zicatela is world-famous for its massive beach break, which is referred to as the “Mexican Pipeline” in the surfing community. These waves are better left to advanced surfers, as they can be quite unforgiving. Even if you can’t handle the waves at Zicatela, it’s worth it to head there to grab some lunch and maybe a cold one on the beach as you watch from a comfortable distance. They even host big surfing competitions here from time to time, so be sure to check and see if one is going on. Beginners can head instead to La Punta or Carrizalillo. 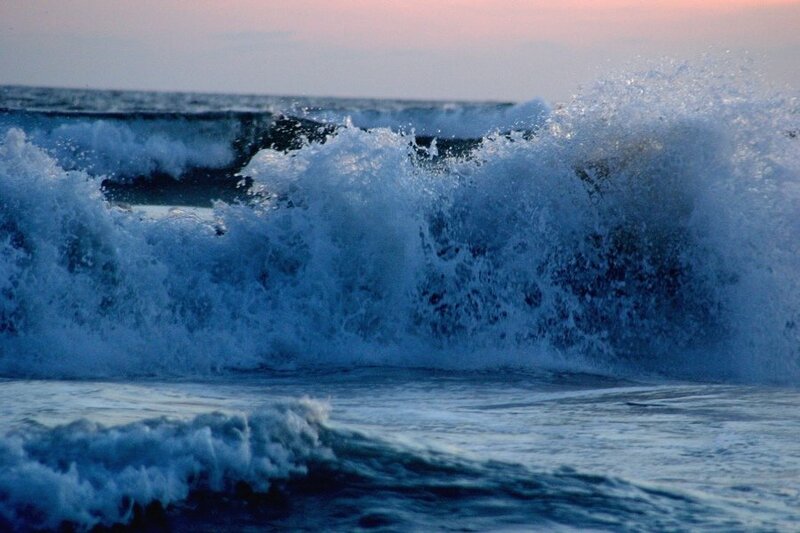 You’ll find much smaller waves at both beaches that are ideal for learning how to surf. There are plenty of instructors around and boards for hire. You can expect to pay around 500 pesos ($25) per hour, including board rental. If you’re like me and fail at all boards (skate, snow, surf, ironing), never fear – there are plenty of beaches in Puerto Escondido that are just fine for chilling out. The aforementioned Playa Carrizalillo is a fine beach to visit even without a surfboard. You’ll have to walk down 167 steps to access the beach (and then back up again), but this stunning cove is worth it. Heading down the coast, you’ll find two bays sitting right next to each other – Puerto Angelito and Playa Manzanillo. Both are nice for relaxing and swimming, and are very popular with locals and domestic tourists on the weekends. You can find several restaurants here, many of which have beach loungers you can use so long as you’re ordering something. If you’ve got your own wheels or don’t mind springing for a taxi, you can continue south along the coast towards the resort town of Huatulco. There are plenty of gorgeous beaches along the way, so go ahead and make a day of it. If you’d prefer to enjoy the beach in your birthday suit, you can hit Playa del Amor (the Beach of Love), which is clothing optional. If you can bring yourself away from your beach chair, there’s plenty more to do in the waters around Puerto Escondido. One of the most popular activities here is taking a boat trip in search of sea turtles, dolphins, or whales depending on the season. Every tour operator in town can set you up for a day of wildlife spotting, snorkeling, and maybe even some fishing. A half-day boat trip usually goes for around 450 pesos ($23) per person. *Note: going on a whale watching tour is one of the top things to do in Cabo San Lucas, if you find yourself in that part of Mexico, don’t miss it! One of the coolest things to do in Puerto Escondido is swimming in the glowing bioluminescence of the Manialtepec Lagoon. This lagoon is home to plankton that lights up at night. The darker it is, the more you’ll see. As such, the best time to visit is around the new moon. Most travel agents in town can set you up on a trip out to the lagoon. Tours typically cost between 250-350 pesos ($13-18) per person. This includes round-trip transportation from town as well as the boat trip to see the glowing plankton. This experience is definitely one of the best things to do in all of Mexico. Another popular activity in Puerto Escondido is releasing baby sea turtles back into the water. If there was a hatching that morning, you can go and release some of the adorable baby turtles in the evening. The sea turtles only lay eggs between late October and May. 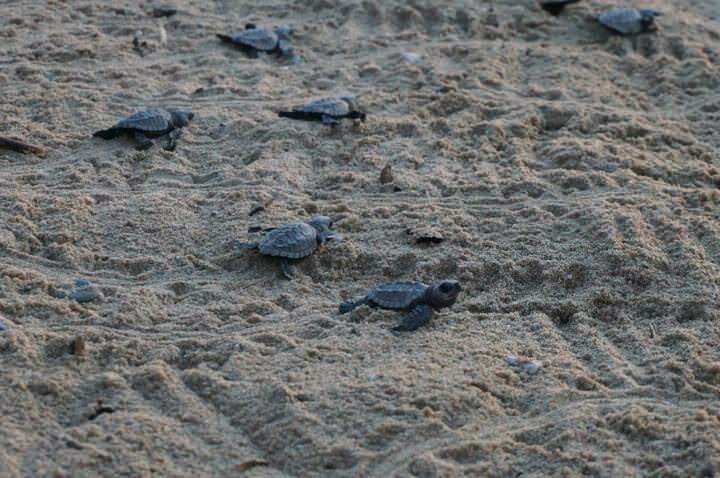 Many hotels in Puerto Escondido organize their own baby turtle releases, so ask around when you get to town. Alternatively, you can just go to the baby turtle release centre on Bacocho Beach. Speaking of Bacocho Beach, that’s where you’ll find the awesome Club de Playa Villasol. This beach club has two pools, a swim-up bar, and a great restaurant. 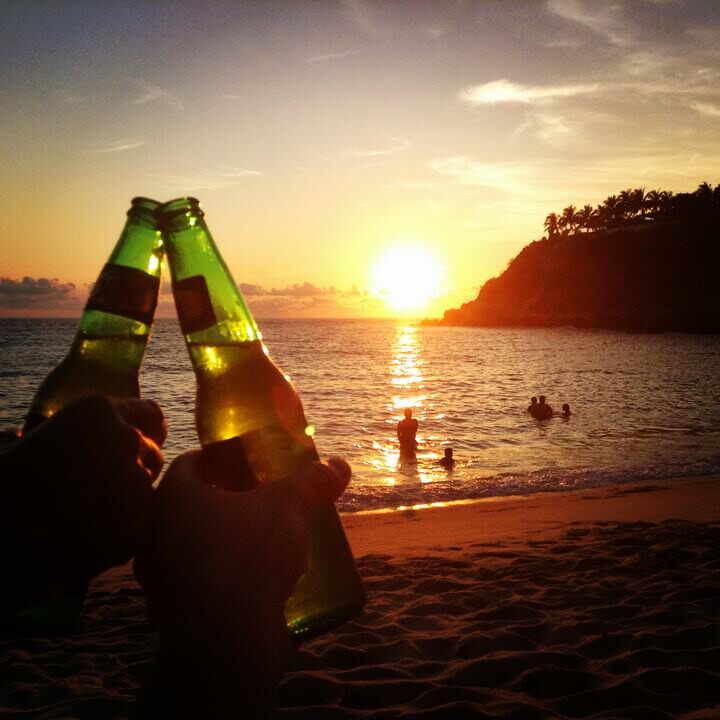 It’s the perfect place to enjoy a relaxing day in Puerto Escondido. You don’t need to be staying at the hotel to enjoy their beach club. Just spend a minimum of 200 pesos ($10.50) on food and drink for adults or 100 for children and you’re good to go. They even show movies on Wednesday nights – a cinema right on the beach! Adrenaline junkies will be happy to hear that skydiving is on offer in Puerto Escondido. Fly above the breath-taking Mexican coast as you jump from nearly 4,000 meters. It’s an exhilarating experience that you’re sure to be talking about for years to come! Skydiving only goes on in Puerto Escondido in the high season, usually around Christmas-New Year’s Eve or Easter. Be sure to check the website of Skydive Puerto Escondido to see when they’re operating. A tandem jump costs 2,900 pesos (about $150). Originally attracting visitors during the low season, the Fiestas de Noviembre has grown into a month-long celebration with tons of different events. There’s a fishing tournament, surfing competitions, beauty pageants, concerts, a food festival and so much more. Travelling to Puerto Escondido in November is the perfect way to avoid the larger crowds (and higher prices) that start arriving the next month. The festivities go on all month, so you’ll never be bored if you travel there in November. While it’s not quite as widespread as it is in bigger cities like Mexico City or Guadalajara, there is an emerging street art scene in Puerto Escondido. Read our informative guide to street art in Mexico before you go, and then hit the streets with your camera to snap some photos of the cool murals you stumble upon. One thing that helps keep this place the “Hidden Port” is the lack of direct flights from the Puerto Escondido airport to the US or Canada. While there are direct flights from Mexico’s North American neighbors to the nearby resort town of Huatulco, that’s still a 90-minute drive away. To get from there to Puerto Escondido, your options range from a $3 bus up to a $90 pre-arranged taxi. Many people choose to arrive in Puerto Escondido by connecting in Mexico City. Flights from the capital take about 70 minutes and can be found for as little as $40. If you have to connect there anyways, I recommend spending at least a couple of days to take advantage of all the awesome things to do in Mexico City. 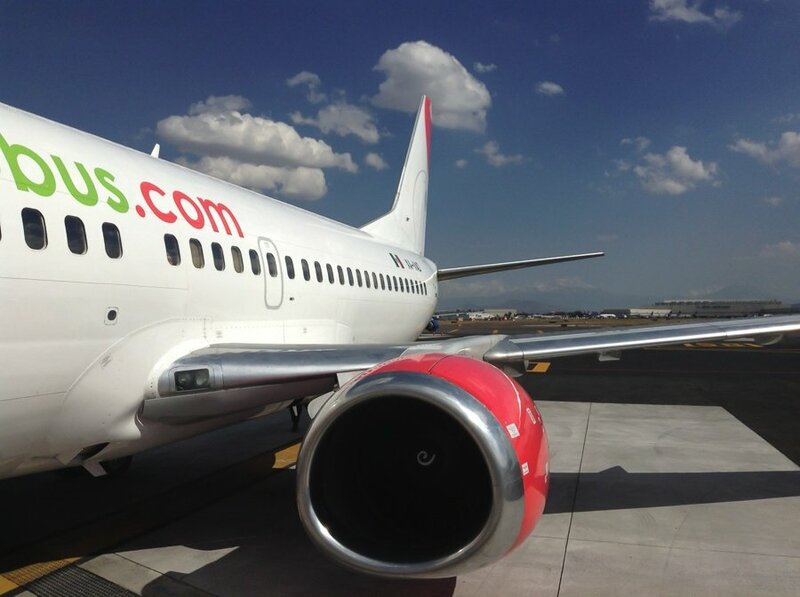 There are also flights from Oaxaca City, but you’ll need to book directly with the only airline that runs them. Check AeroTucan’s website for times and prices. It seems as if 2,550 ($133) pesos is the going rate for a one-way flight. Other travellers have recommended calling the airline, as their website often has issues with bookings. Those AeroTucan flights tend to sell out well in advance. Another option is flying AeroVega. Captain Don Vega regularly flies the route in his 6-seat Cessna and comes highly recommended by other travellers. 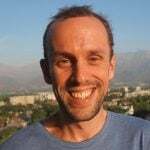 You can contact him at [email protected] or +1 044 954 588 0062 to reserve a spot on one of his flights. If you’d prefer to save money rather than time, you can catch a bus from Oaxaca along the windy mountain roads to Puerto Escondido. The bigger, more comfortable buses cost around 250-350 pesos ($13 – $18) and take 10 hours or so. Many backpackers choose to take the overnight bus to save money on accommodation, although sleeping might not be that easy on this journey. You can also hitch a ride in a mini-bus, which might be a little cramped but only takes 6-7 hours for a cost of around 200 pesos ($10.5). Just be prepared for motion sickness as it’s quite the bumpy ride! Finally, some people choose to just rent a car in Oaxaca City and drive themselves to Puerto Escondido. Just make sure the rental insurance agreement is clear so as to avoid any surprise charges. It’s also best to tackle this drive during the day as some of those hairpin turns can sneak up on you. To get around Puerto Escondido, you’ll likely use a combination of taxis and local public transportation. Getting a taxi from the airport to town should cost around 40-50 pesos ($2-2.50), or about 70 ($3.50) if headed to Punta Zicatela. Taxi rides within town only cost 30-35 pesos ($1.50-2). For public transportation in Puerto Escondido, you can choose between colectivos (shared taxi vans), local buses, and camionetas (pick-up trucks). These all run from sunrise till around 8:30 PM and only cost 8 pesos (less than $0.50) each. To visit points further outside of town, you can try to hire a driver for the day or just rent a car. Cafecito (Boulevard Benito Juárez 1, Seccion C, Local 11, Rinconada): This Puerto Escondido staple has two locations – one in town and one on Zicatela. It’s a very popular place to go for breakfast, so don’t be surprised to find a line if you arrive in the morning. Benito Juarez Market: The local market is the best place to go shop for fresh fruit and veggies. You can also sit down to a cheap lunch at one of the many vendors there. Brad’s Split Coconut (Av. Del Morro, Playa Zicatela): Set right on the beach among palm trees, this is a fun spot to go for dinner and drinks. They’re always cooking up some delicious BBQ here, and the place is usually rocking with some live music. El Espadin (Camino Carrizalillo No 125, Carrizalillo): Head to Playa Carrizalillo around sunset to enjoy a meal at this fantastic restaurant. Order the catch of the day or whatever other seafood you fancy. Cayuco (Av. Del Morro 4, Playa Zicatela): Another beachfront restaurant, Cayuco cooks up classic Oaxacan dishes in unique ways. They’ve also got an excellent selection of mezcal here. Almoraduz (Benito Juárez 12, Rinconada): For fine dining Puerto Escondido style, head to this amazing restaurant. The chefs here whip up traditional Oaxacan cuisine with a twist. They also make some killer drinks, like a hibiscus margarita with mezcal. Congo Bar (Alfonso Pérez Gasga 605): Live music, cheap drinks, and a raging party are what you’ll find here. Bar Fly (Av. Del Morro, Playa Zicatela): If you’re looking to dance into the wee hours of the morning, this is the place to do it. 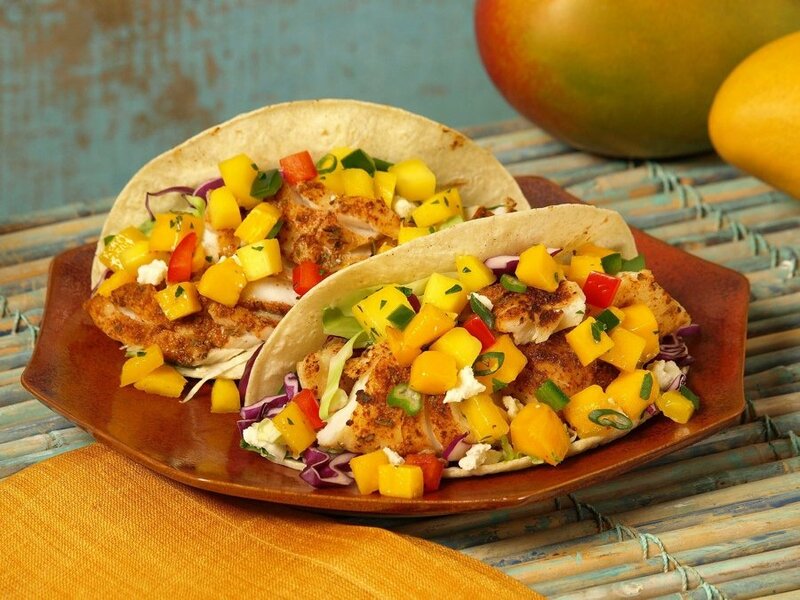 seafood tacos for the win! Eating and drinking your way around Puerto Escondido is definitely a highlight of visiting this chilled out beach town. If you have any other recommendations for great places to grab a bite or a drink, please leave them in the comments below! Accommodation in Puerto Escondido ranges from simple backpacker-style hostels up to luxury beachfront resorts. As such, there’s something for all tastes and budgets here. Those focused on surfing will probably want to book a room on Playa Zicatela to have easy access to the best waves in Puerto Escondido. If you head a little further south on the beach to the area known as La Punta, it’s a little bit more laid-back and less focused on surfing. Families and couples looking to stay away from the party might want to seek out accommodation up at Playa Bacocho, where there are plenty of options. When seeking out accommodation in Puerto Escondido, it’s important to consider the time of year you’ll be travelling there. Places fill up fast over Christmas, New Year’s, and Semana Santa (Holy Week). To avoid disappointment, you’ll want to book well in advance if travelling there during these busy times. Check for unique accommodations and affordable places to stay on Airbnb (get your $25 Airbnb coupon here), or on websites like Booking.com. For the most part, Puerto Escondido is a very safe place to travel. That being said, incidents do occur here, especially robberies. It’s best to avoid walking on the beach at night. Wherever you are, it’s advised to stay in a group. Don’t carry too much cash or valuables on you so as to avoid drawing attention to yourself. Perhaps the biggest danger in Puerto Escondido is the water. Life guards here rescue hundreds of people every year, so be sure to take those red flag warnings seriously and stay out of the water when advised to do so. When travelling to or from Puerto Escondido, it’s recommended to skip out on the overnight buses to Mexico City. These pass through the state of Guerrero, which is one of the most dangerous areas in Mexico. There are many reports of armed robberies on these buses, so you’re much better off springing for a flight with a budget airline instead. In a popular tourist beach town in Mexico, it should come as no surprise that drugs are not hard to find. I’m not going to tell you what to do or not to do on your vacation, but just be aware that cops here like to stop gringos at night for random inspections to see if they can find anything. Spending some time in a Mexican jail and/or dishing out a huge bribe are surefire ways to ruin your trip. 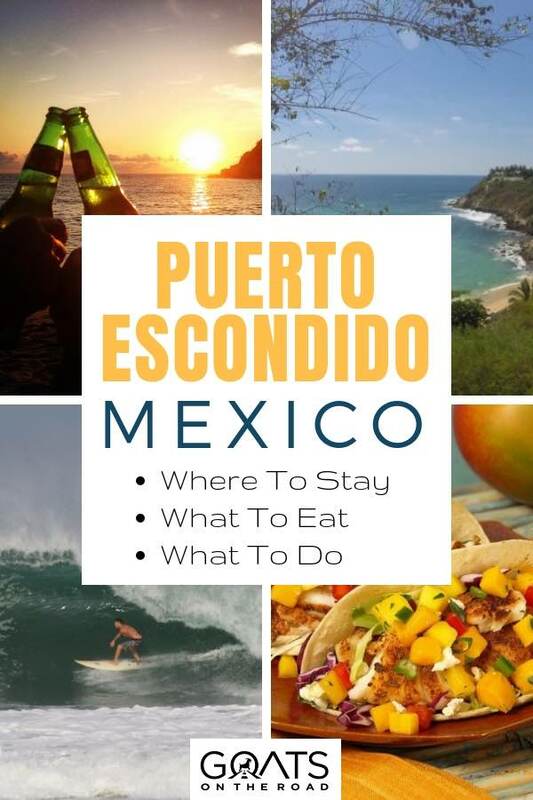 Pack Your Bags For Puerto Escondido! Well there you have it, amigos. 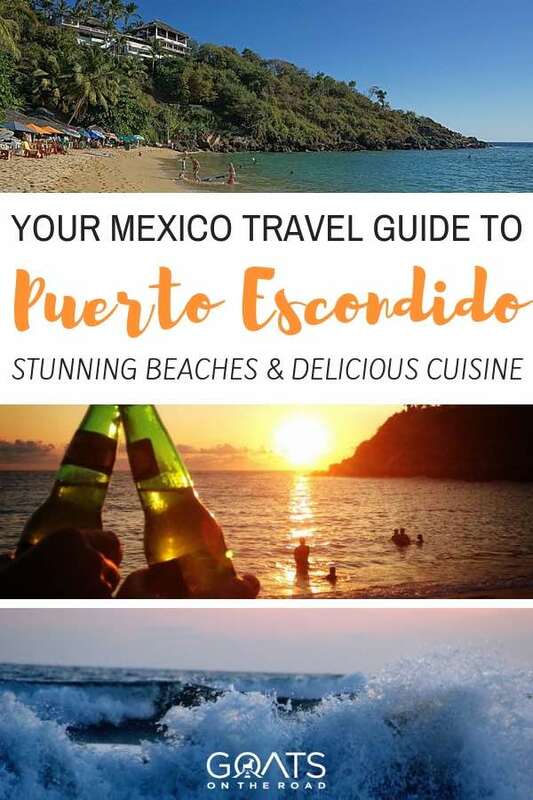 As I’m sure you can see by now, Puerto Escondido has a lot to offer travellers who put forth the effort to make it to this little slice of paradise in Oaxaca. From surfing some of the most epic waves in the world, to free-falling above the ocean and mountains on a skydiving trip, to dining on fresh seafood with sunset views, this is a fantastic choice for your next vacation.